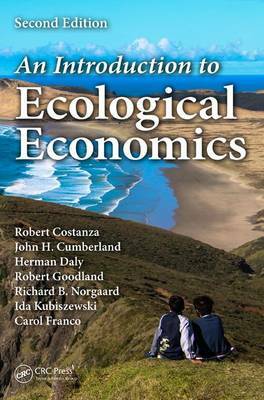 Ecological economics explores new ways of thinking about how we manage our lives and our planet to achieve a sustainable, equitable, and prosperous future. Ecological economics extends and integrates the study and management of both "nature's household" and "humankind's household"-An Introduction to Ecological Economics, Second Edition, the first update and expansion of this classic text in 15 years, describes new approaches to achieving a sustainable and desirable human presence on Earth. Written by the top experts in the field, it addresses the necessity for an innovative approach to integrated environmental, social, and economic analysis and management, and describes policies aimed at achieving our shared goals. "... summarises the `state of the art' in the discipline. ...The ecological threats posed by the modern market system and its use of advertising to promote consumption are extensively discussed. ... a useful handbook." "... a useful transdisciplinary lens through which to view and understand stubborn global problems of inequity, environmental degradation and declining well-being. It challenges the traditional use of GDP as a metric of progress and argues for an approach more in tune with the challenges of the 21st Century , one that builds and values stronger socio-ecological systems as the only way of ensuring transformative change for all in an increasingly full world." "... a unique tool to approach issues that are vital for the future of the planet and of our societies. It is a fundamental book to deeply understand the complexity of the issues at stake, as well as the need to connect multiple disciplines to find the right policy solutions to today and tomorrow challenges." -Enrico Giovannini, University of Rome "Tor Vergata"